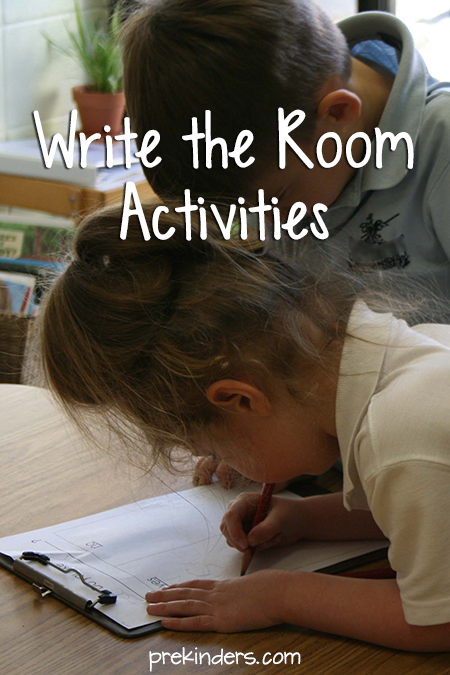 Children love Write the Room games because they love to wander around the room, move, and get active. 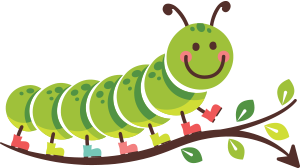 Here are three Write the Room activities that Pre-K children can do. From the second the kids began this activity, excitement filled the air! Rainbow Write the Room was a huge hit. Kids who never attempted to write or even draw, were suddenly excited about it! In my class, this was an independent small group activity (we have 2 groups with a teacher and 2 groups working independently). To prepare Rainbow Write the Room, print letter outlines (printable below) onto card stock paper. Card stock works better since these are hanging on the wall and the stiffer surface of card stock is easier for the kids to write on (especially with an uneven surface like cinder block walls). Since card stock costs more and this activity uses 26 sheets, I collected all of the pages, stacked them, and printed more letters on the back of the papers for the next day’s group of kids. Attach these all around the room to the walls and on furniture. Loops of masking tape on the back worked great, and with the wide masking tape, two pieces on the back were enough. Give each child in the group a different color crayon, and ask them to only use that color. For example, Griffin has green, Josie has red, Macy has purple, etc. 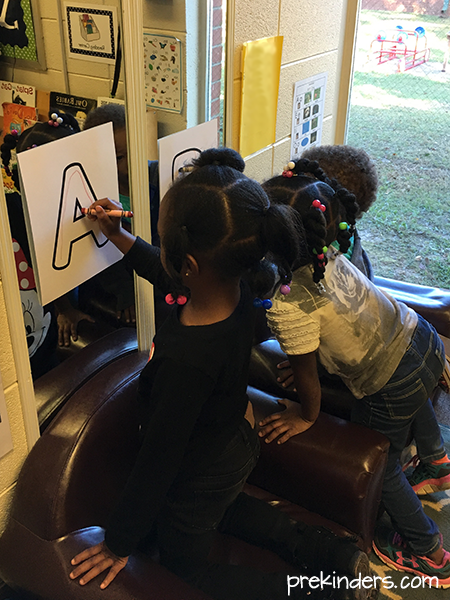 Have the kids go around the room, finding the letters. 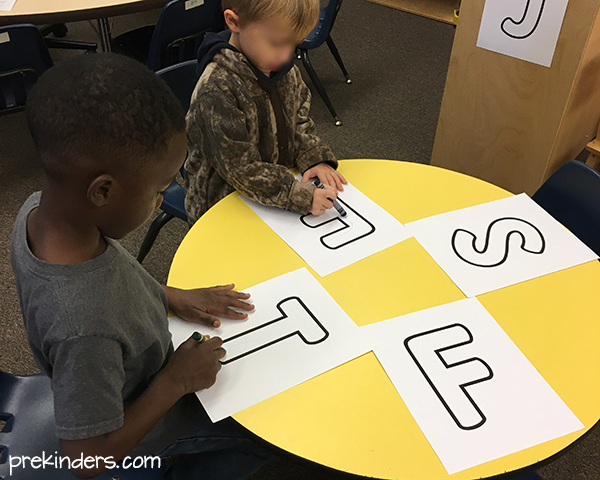 As they find each letter, they write the letter inside the outline using their color. Every child writes on every letter (I made sure to tell them that even if they see someone else’s writing on a letter, they still need to write in their color.) When they are done, all of the letters around the room will look like rainbow letters! The kids were so motivated to do Rainbow Write the Room, and everyone was engaged in the activity! 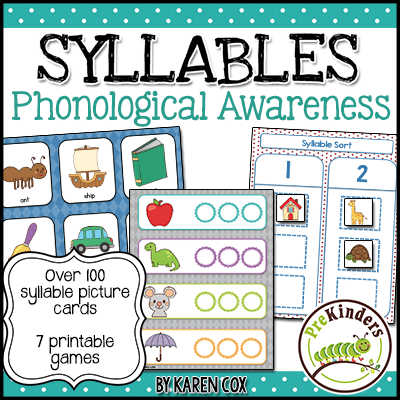 Be sure to demonstrate this with the kids before they start so they understand what you want them to do, and how they will all write on the same letters. For this game, half of the paper says “Letters in my name” and the other half says “Letters not in my name”. 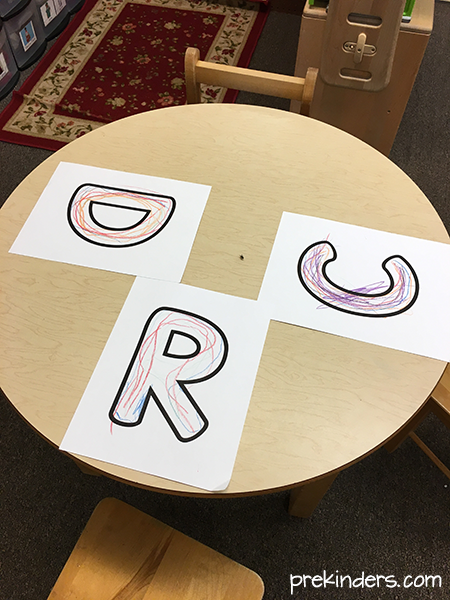 Children attach these to clipboards and walk around the room looking for letters in the classroom. When they found a letter, they decide which half of the paper to write it on. Is the letter they found also in their name? Or is it not in their name? In this activity, children get to go around the classroom surveying their friends for likes and dislikes. I have these in a pocket folder in our writing center for the children to get when they choose. To use this printable, children ask a teacher to fill in the blank with whatever they want to survey their friends: “Do you like _____?” Some children ask for the word to be spelled while they write the letters. Some examples my prekinders have done are: Do you like pizza? Do you like pink? Do you like Scooby Doo? Do you like chocolate milk? and many more. Children go around the room asking other children their question, and writing the names in the yes/no boxes. If they don’t know how to write a name, they copy it from a name tag or ask that child to write it. I love love LOVE your site! I wish I could list which I love, but I’m finding it difficult to find a starting point. I LOVE everything!!!!!!!!! Besides the polka dot theme, because I change up my classroom according to the curriculum theme, I would say, I use just about all your postings!!! I would use your site even if it was paid site. You’re an angel posting all these great things for FREE!!!!! I absolutely love the center signs. I could never get them right, and I hated the ones that I was buying. The ones you’ve made are exactly what I was looking for. Thank you for all your hard work! I wish I could say, keep it coming, except I would feel way too ungrateful asking for so much. You have tons of great ideas and I am so thankful that you shared them with us. I really love the Roll ‘n’ Write Game. 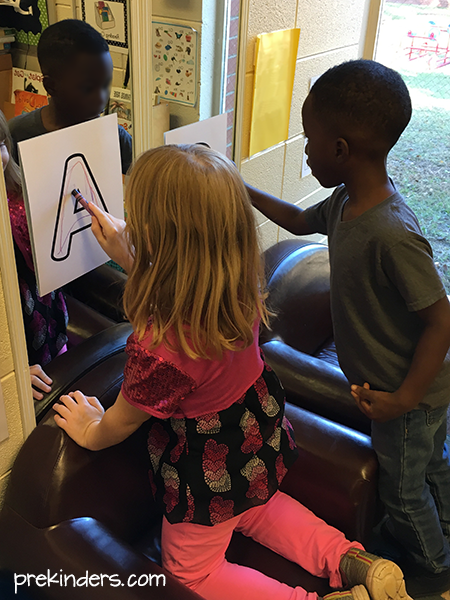 We’re using the Name Sort activity now in my K classroom. 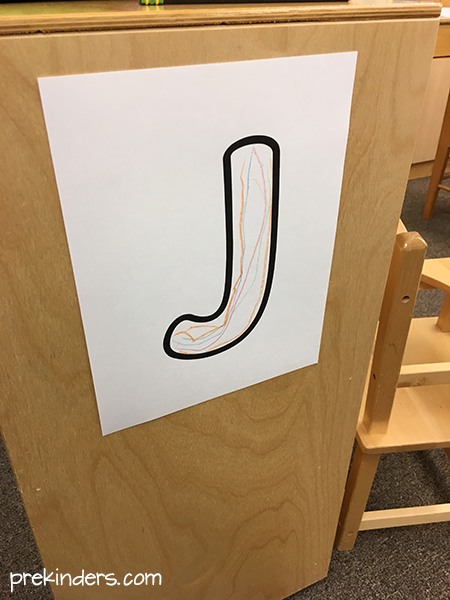 I modified it so that the students have to write words that have the letters of their name and then highlight that letter. Then I require at least three words that do NOT have letters of their name. So far, so good! Thanks for the great stuff! This site is amazing. There so many great resources on here. It is the best I’ve across so far. I am a new teacher, and this site has helped me so much. Thank you for sharing all of your resources! They’re absolutely wonderful!! 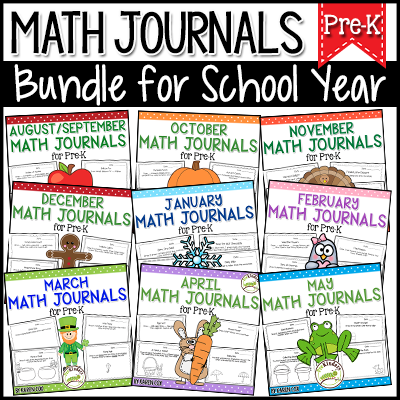 Thank you so much for sharing your ideas and offering FREE printables. I have used many of your ideas. You are a valued resource for preschool teachers like myself. Thank you! Thank you for sharing these items. My kids will love them! I love the simplicity of each activity, but you kept the “fun” in them. You are an amazing resource for me and my kindergarten class ! I Love your site and your ideas. THANK YOU for sharing. You have shared such a good post. Your resources are very helpful!! I am in 3 year old room. I am not finding little hard as this is my first time to teach this age group. How can I start teaching their names or recognising their names. I just need a start I know I will be okay when I get on the track.